(P1) Every year in Japan has an animal symbol. The year 2016 is the year of the monkey. The year 2017 is the year of the rooster. (P2) There is another tradition in Japan. People clean their houses in December. They want to start the New Year fresh. (P3) Two window cleaners from Tokyo know about this. They dress up as a monkey and as a rooster. They clean a hotel in Tokyo in their costumes. They are 50 meters above the ground. They surprise the hotel guests. Do window cleaners wear costumes in your country sometimes? If yes, why? What are some symbols in your country? Does your country have traditions? If yes, what is one of them? What country is the window cleaners in? 2017 is the year of the ___________. In Japan people clean thier houses in ____________. 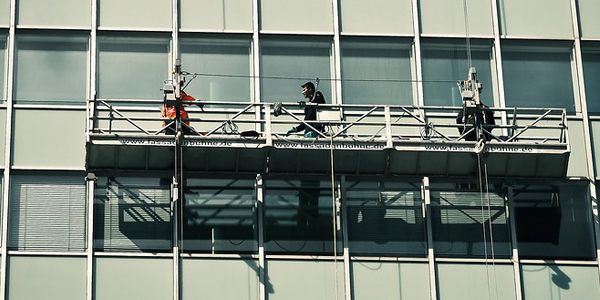 How many window cleaners dress up?